At the start of World War I, Alfred Hitchen, son of John Samuel and Mary Jane Hitchen of 29 Yale Street, was an apprentice presser maker at William Boddens & Son (spindle and flyer makers; Hargreaves Works). At the time, his father was also a presser maker; possibly, for the same company. John Samuel Hitchen and Mary Jane Stone were married at Prestwich parish church on the 10th Nov 1878, and originally lived in Royton (56 Edge Lane; 1881 census). Later the family moved to No. 4, Court 7, Henshaw Street (1891 census) and Alfred was born, the sixth of ten children, in 1893. The family later moved to 29 Yale Street (1901 & 1911 censuses). For 3 years before the war started, Alfred served in the Territorial Army; and at the break of war decided to sign up, just two weeks before his apprenticeship would have been completed.. He served in 'A' Company of the 10th battalion, 1st Manchesters in Egypt and Turkey. During the fighting at Krithia Vineyard on the Gallipoli peninsula (according to a comrade; Pte. H. Powers) "He got over the top of the trench and ran back to the next trench in murderous fire, and fell in a lump at our Jim's feet wounded." On the 13th August 1915 he would die of his wounds in the hospital, just 22-years of age. In "Amateur soldiers", K. W. Mitchinson reports that having experienced the highlights of Cairo, Alf had thought it a "splendid (but) an absolutely immoral city"; however, Mitchinson went on to comment that "It is to be hoped that Alf Hitchen did, despite his reservations, derive some pleasure from its dubious delights for within a few months the 22-year-old from Yale Street was dead." 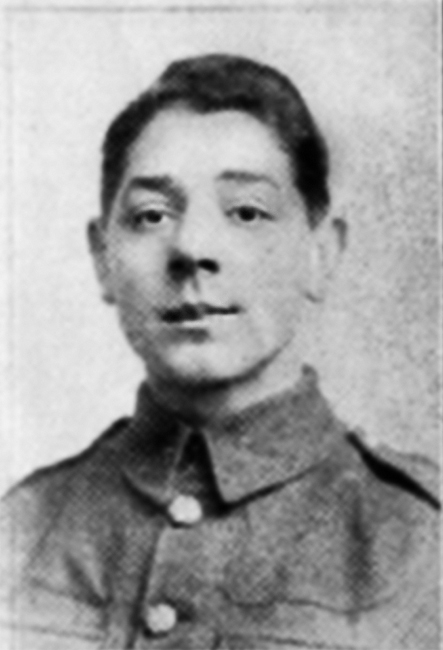 Alfred Hitchen was posthumously awarded the 1914-15 Star, the British War Medal and the Victory medal. He is buried in grave G. 58 in the Lancashire Landing Cemetery, Cape Helles, Turkey. 'Oldham Terriers - Their Part in the War' by Sgt. Maurice Bradbury, M.M. Read the transcriptions of a series of articles published in the 'Oldham Standard' in Spring 1919.